Prized by birds, we need to protect our harvest… if we want one! There is a wide range of cherry colors from which to choose. Sweet Cherries (a.k.a. 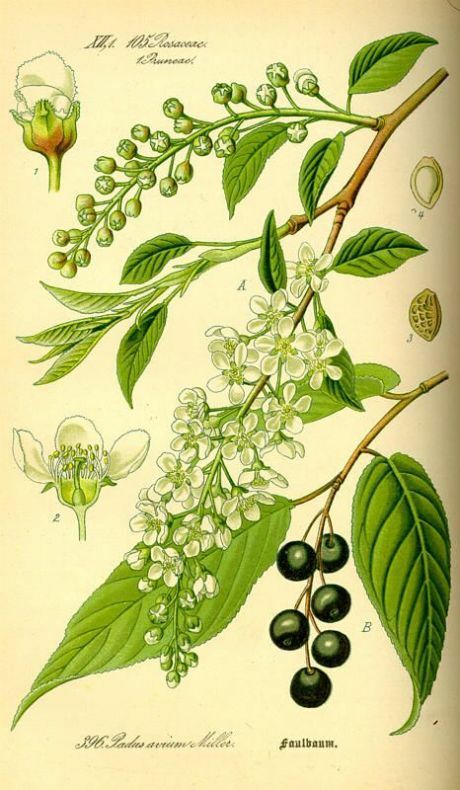 Wild Cherry or Bird Cherry) are the cherries commonly sold in grocery stores. 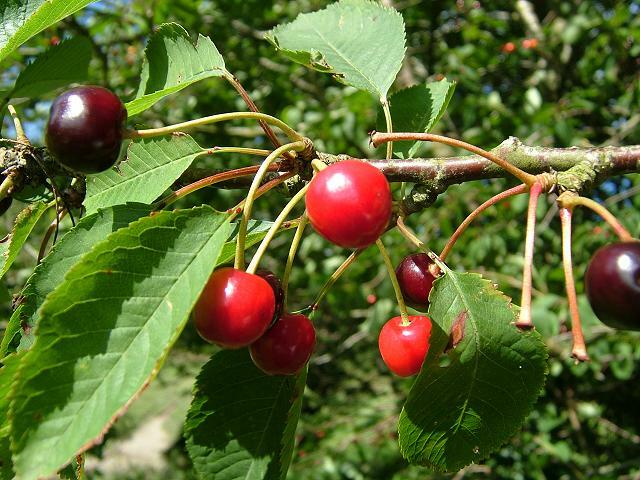 These prized fruits are significantly more picky about their growing enviroment and are more susceptible to pests and disease than their cousins the Sour Cherry. However, if you have the space, and some luck (or a lot of time for babying it), you will have one of the best tasting fruits in the natural world. I plan on growing a few of these trees on my land for all their other attributes like attracting beneficial insects, wildlife food, and wood production. If I get a small to medium harvest, I will be thrilled. 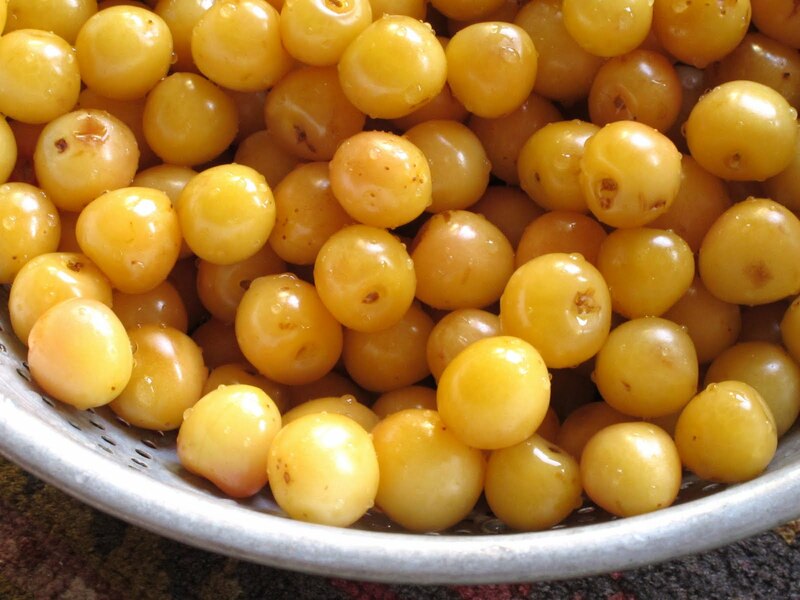 Sweet Cherries have been consumed by humans for thousands of years. Native to the Mediterranean region, likely eastern Europe/western Turkey, it has spread through accidental and intentional plantings. Sweet Cherries were cultivated in Turkey by 800 BC. Since then,they have been grown on all continents but Antartica. 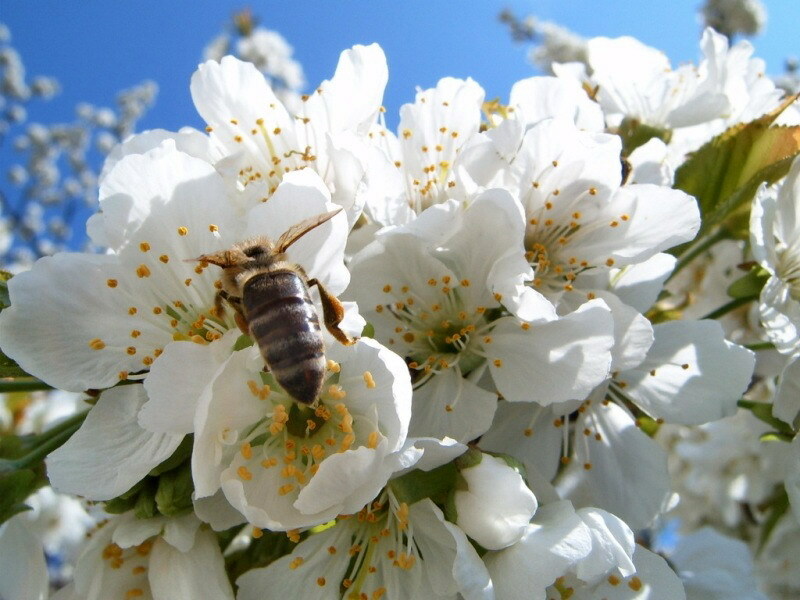 Sweet Cherry attracts beneficial insects. Baking – pies, tarts, turnovers, etc. Yield: 1-2 bushels/35-70 liters/50-100 lbs (22.5-45 kg) per tree, large standard trees have been known to produce up to 300 lbs of fruit! Storage: Fresh Sweet Cherries should be used within a few days, maybe up to two weeks if kept very cool and moist. Sweet Cherries typically freeze well. Sweet Cherry in Spring bloom… breathtaking. 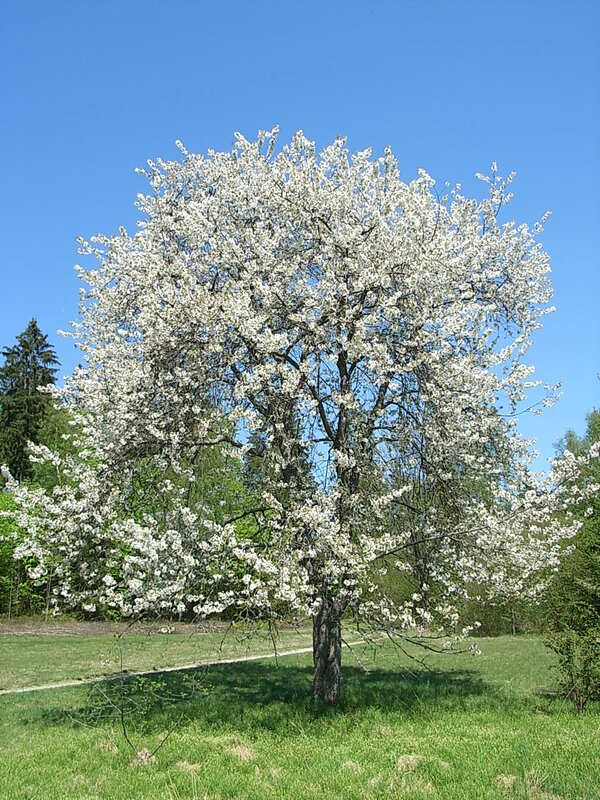 Sweet Cherry trees can grow to be one of the largest fruit trees. Flowering: Spring. April-May depending on the variety and USDA Zone where it is planted. May be susceptible to late frosts. Typical lateral banding of Sweet Cherry. Young trees have more. Older trees become more gnarled. Size: Standard (full-sized trees): 25-35 feet (7.5-10.5 meters) tall and 35-40 feet (10.5-12 meters) wide depending on the variety/cultivar, and many do not reach max height. Wild varieties may grow double the size of Standard fruit varieties. Semidwarf trees are about half sized and Dwarf trees are about one quarter size of Standard. 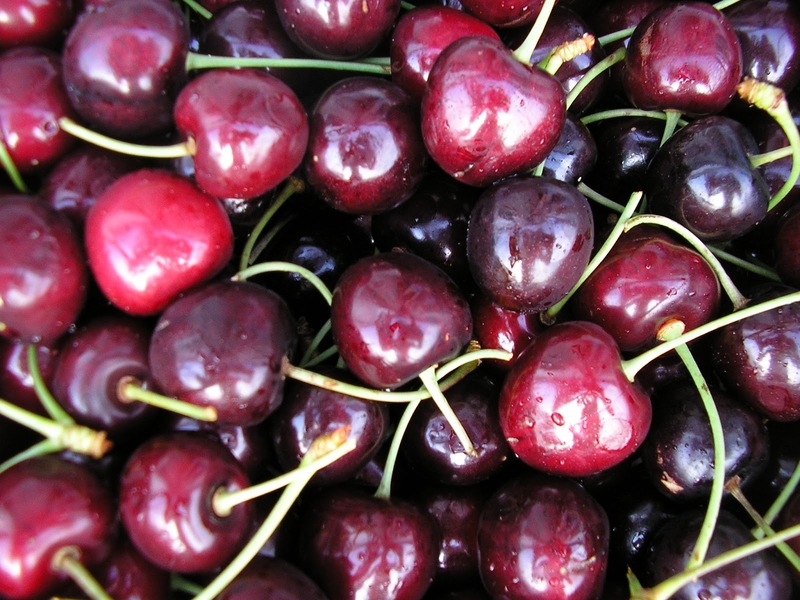 Cherries should be picked when perfectly ripe but do not store well. 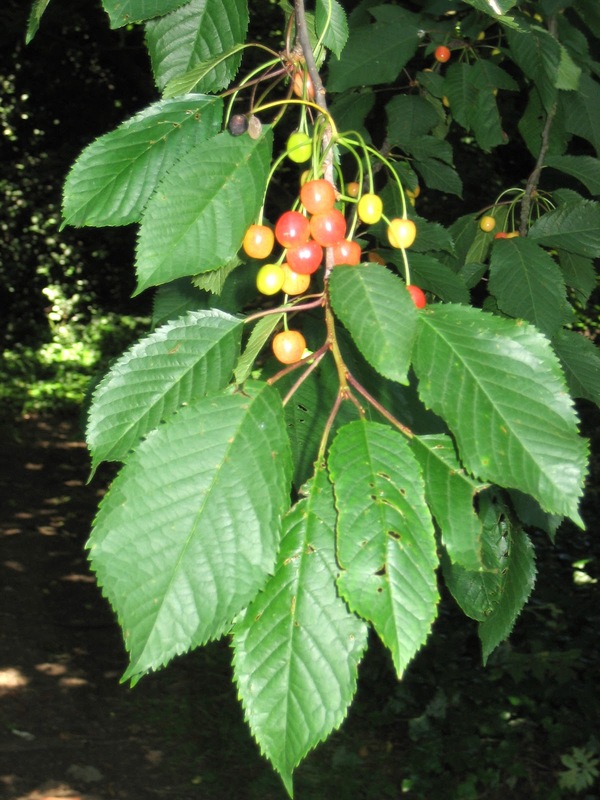 Many edible cherries tolerate juglone (natural growth inhibitor produced by Black Walnut and its relatives). 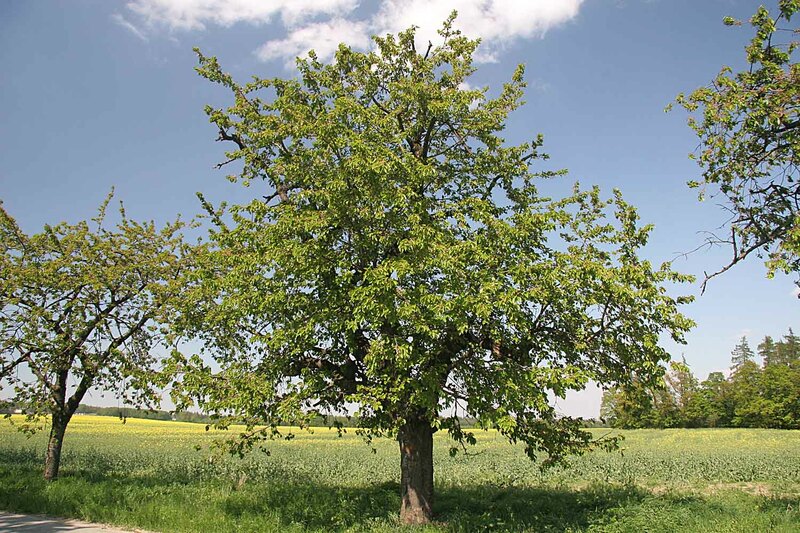 If not sure, then consider using other trees as a buffer between your walnuts and other plantings. Consider netting to protect fruit crop from the birds. Usually grafted. Seeds need at least 13-16 weeks cold stratification for germination and can take up to 18 months to germinate. Cuttings can be taken from Early Spring through Summer. Suckers can be divided in dormancy, but only consider this if the tree is not grafted. Minimal. 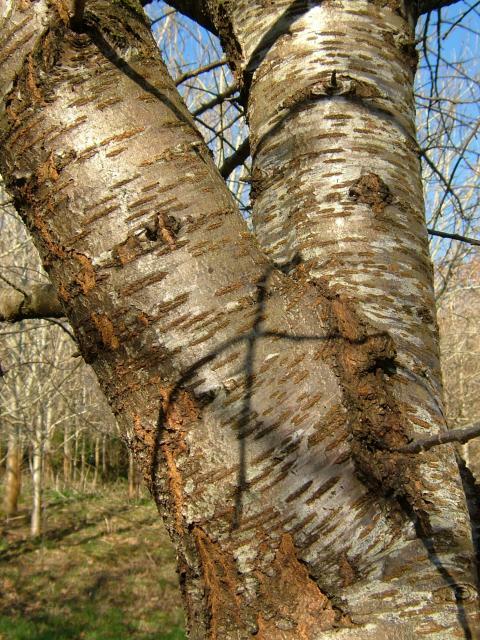 Prune out live wood for training as desired and dead or diseased wood in late Summer and Autumn – not when dormant. Napolean (a.k.a. 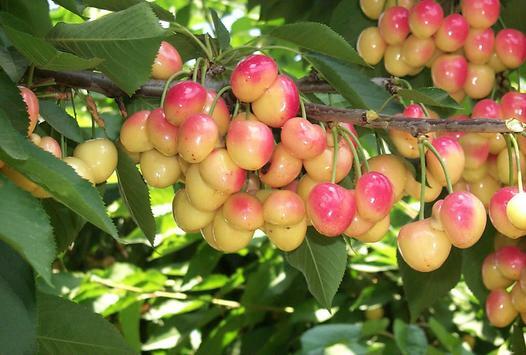 Royal Anne) Sweet Cherries, perfectly ripe!